J. Douglas Macy was responsible for helping design many iconic Oregon landscapes and parks, including Pioneer Courthouse Square in Portland. Contributed photo by Walker Macy firm. in 1976, Macy was known as a leader and a mentor to a generation of Pacific Northwest designers. He’s shaped public and private landscapes across the state, including the Oregon Coast Aquarium in Newport, Black Butte Ranch and Centennial Park in Central Oregon, and the Capitol Mall in Salem. Macy was born in Caldwell, Idaho, and grew up in Madras, Oregon, in a ranching family. In a 2009 interview with the Daily Journal of Commerce, Macy described himself as a kid who rode horses and roped cattle. He said as a child he was deeply curious about the landscape and the world beyond Madras. “I was also a little too dreamy, kind of looking and watching deer coming down the hill while I’m supposed to be plowing a straight row,” he told the journal. Macy pursued landscape architecture first at Oregon State University and then at the University of Oregon, where he earned his degree. In 1980, Macy was part of the team, led by architect Willard Martin, that won a design competition for the space that became Pioneer Courthouse Square. They managed to beat out 160 other submissions from firms across the country. “It was the most near and dear project to him,” said Chris Jones, a principal at Walker Macy. The site was a parking lot at the time. As part of their bid to transform the lot, Martin and Macy painted their design for a public square on top of the concrete. “We like to think that was an early act of guerilla artistry, illustrating what that space could be,” Jones said. Today, more than 11 million people visit Pioneer Courthouse Square each year. Jones said Macy was known for his simple, elegant designs that fit in with the landscape, and for creating practical spaces that people could use. “I think he did that and has done that for 40 years, better than many,” he said. Macy was also known as a mentor to young designers and architects in the Northwest. Jones said he challenged them to “elevate the conversation,” and to not let their vision be watered down by the bureaucracy involved in building public parks. Macy had a long history of community service. He donated his design for Oregon’s memorial to Vietnam War veterans, and has served on numerous boards. 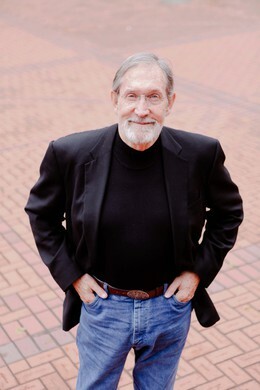 Over the years, he helped organizations including the Portland Japanese Garden, Pacific Northwest College of Art and Northern Arizona University. 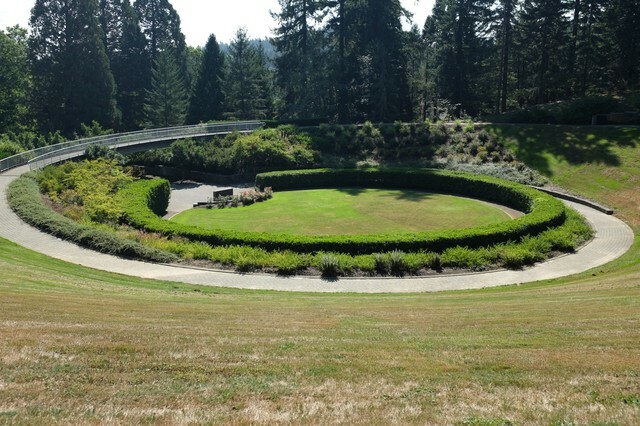 The Garden of Solace’s spiral design represents birth, life, death and rebirth.